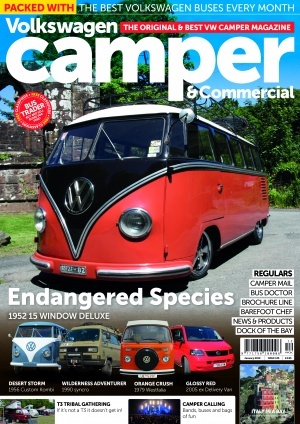 Founded back in 2000 VW Camper and Commercial is the original (and best) VW Bus magazine out there. Written by approachable, passionate bus owners it has an established reputation for quality writing, drawing on a wide knowledge base, and for bringing together some of the best and most inspiring buses around in the UK (and the rest of the world). The editor has owned his Split Camper since 1978 and is well respected in the VW scene and has also written several books about the VW bus and lifestyle. "We pride ourselves on our no nonsense, grass roots approach. If you drive or like VW buses then this is the mag for you. Whether looking to maintain or restore you bus, inspiration for interior layouts, ideas for places to get out and about in your bus or just enjoying epic travel stories in far flung places we cover it all. Drive your bus; enjoy your bus; read the magazine." Pay just £9.99 every 3 months and never miss an issue of your favourite magazine again. Pay just £18.96 every 3 months by direct debit and receive both VWBus T4&5 and VW Camper & Commercial delivered direct to your door. 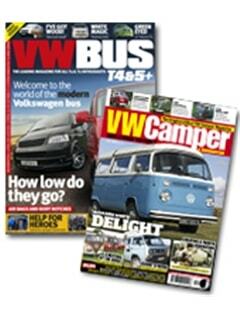 12 issues of VW Camper & Commercial delivered direct to your door. 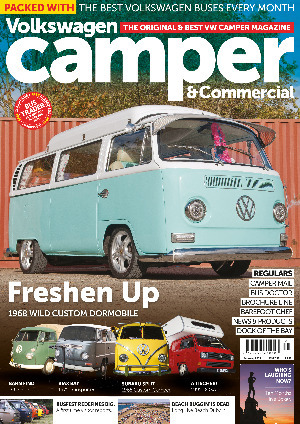 6 issues of VW Camper & Commercial delivered direct to your door. 1 year (12 issues of each magazine) - pay £75.84 by credit / debit card and receive both VWBus T4&5 and VW Camper & Commercial delivered direct to your door. 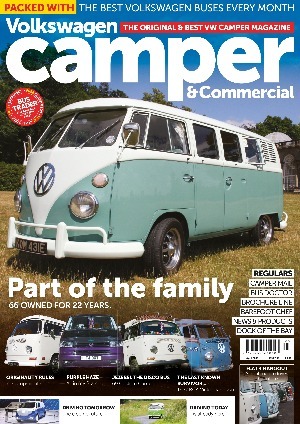 1 year (12 issues) of VW Camper & Commercial delivered direct to your door.